Should Your Email Marketing Campaign Be More Interactive? By Amanda DiSilvestro in Blogging. Updated on August 3, 2018 . Companies are still working to discover the cure for email marketing deletion. You might have your list perfected, your newsletters segmented, and a lot of great images, but for some reason people tend to delete these emails even before they get to that great attention grabber you worked so hard to create. Email marketing is a great way to get your content in front of consumers, but getting it to stay there, that part has yet to be perfected. The question then is this: What will get consumers interested in our messages? One of the latest and greatest tricks is interaction. Consumers like to be involved as much as possible with the things they see online, so bringing that element into an email marketing campaign is a great idea. Although most companies have stuck to catchy headlines and interesting graphics in the past, 2012 is going to move email marketing into an interactive state. After all, turning away from a piece of content and ignoring a link is easy, but it’s a bit harder to turn away from an opportunity to participate in something. The trick to email marketing interaction, however, isn’t to send readers to another web page where you have something interactive planned. The cool, fun way to interact should be right there in the email marketing message itself. For this reason, some types of interaction work well, but others are better left for a different campaign. Consider the following types of interaction and whether or not you should use them when marketing through email. [Good] Surveys and polls will not take up a lot of space in your email marketing message, yet it will give readers the sense of participation. If you’re trying to prove a point or ask for opinions, it might be a good idea to ask a question and hope for feedback. People will be more likely to pay attention to something that they know is quick and easy, and if they’re interested in the results they may be more willing to read the content. After all, it’s much easier and faster to vote on an issue than read an entire piece of content on the issue. If you can configure the message to show a chart or graph after each vote, people will likely feel even more engaged. After all, why vote if you can’t even see the results? [Bad] Putting up a video or offering a live chat is a great idea, but not in an email marketing campaign. Videos are notorious for taking a while to load, and with email marketing, you don’t have a large enough window of time. When people open up that email, they need to be engaged, and looking at a black screen that says “buffering” just won’t cut it. The same problem occurs with live chat. If you want to give readers the option of clicking a link to view a video or chat live with a team member, by all means, go for it. Just know that this isn’t quite interactive within the actual campaign, so likely won’t gain any new readers. [Good] Unless today is the first day you’ve been online since the 90’s, you know that social media has exploded onto the scene. Between Facebook, Twitter, LinkedIn, and now Google+, social networking is becoming more important than ever. According to Facebook statistics, one in every nine people on Earth has a Facebook account. 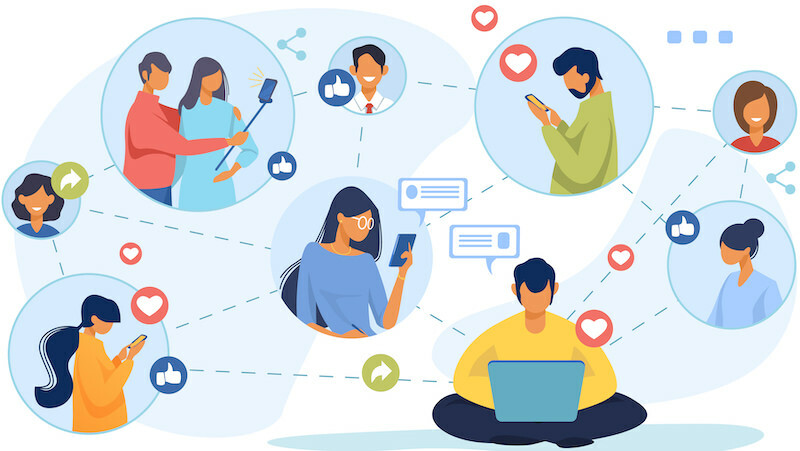 In other words, people love to share things they find online with their friends and those starting a small business can’t get enough of these networks. Place social sharing buttons on your email marketing campaign, and you’re sure to have more interaction than if you were to send out a plain piece of content. This will also show readers how often an article has been shared; thus giving it, even more, appeal (people tend to listen to their peers as opposed to the company trying to make money; nothing personal). In other words, infographics can be extremely effective. They will work great in an email message if you keep the infographics simple. If you have a huge infographic that takes too long to load, you will lose your readers. If you can keep it simple and engaging, then an infographic will work great. [Bad] Directing people from one page to a different page for interaction simply won’t work. People enjoy the interaction, but not enough to go out and find it. If it’s there, they’ll take a look, but otherwise, they will probably pass. Simply clicking on a link is the most basic form of interaction. In fact, with all of the other types of interaction available, clicking on a link hardly counts. Ultimately, having quality content is the most important thing in an email marketing campaign. You can have all the bells and whistles and fun interactive opportunities you want, but none of it will matter if your content is poorly written. People will be able to see through all of the exciting interactive elements, so make sure that interaction is the last piece to your email marketing puzzle. Editor’s note: This post is written by Amanda DiSilvestro for Hongkiat.com. Amanda is a writer on topics ranging from social media to background checks. She writes for an online resource that gives advice on topics including document software to small businesses and entrepreneurs for the leading business directory – Business.com.